Grace Protestant Episcopal Church of New Market can trace its humble beginning back to 1870. It was admitted as a parish of the Diocese of Maryland at the Diocesan Convention held in Baltimore that year and reportedly served seven communicants at the time. At that time, Grace Church did not have a rector and The Reverend J. D. McCabe, rector of Zion Church in Urbana, agreed to hold services in both Urbana and New Market. By the late 1870’s, the Reverend James Stephenson, D.D., a native of Ireland, was appointed rector of Grace Church. He helped develop not only Grace Church, but also the missions of St. James, Mount Airy, and St. Paul’s, Poplar Springs. Dr. Stephenson combined these three congregations to form the Linganore Parish in the early 1890’s. By the 1930’s, Grace Church had become an independent parish and The Reverend Leon Vautheir served as the rector from 1936 until his death in 1956. From 1956 until 1966, Grace Church hosted a succession of transitional deacons who, upon ordination to priesthood, left for other parishes. Having no priest in residence from 1966 through 1973, two lay readers, Walter Kirk and George Delaplaine, Jr., led Morning Prayer three Sundays each month and the Reverend Arnold Ross visited from Frederick to celebrate Holy Communion on the fourth Sunday. In 1973, The Reverend Robert Jacques, Ph.D., was appointed by the bishop to be rector at Grace Church. Dr. Jacques retired in September of 1984, and in April of 1985, Grace Church conducted its first ever search process and called The Reverend John Cawthorne as the part-time rector. Rev. Cawthorne retired in 1984, and in 1985 we welcomed The Reverend Columba Gilliss as a part-time rector. As the congregation grew, Mother Columba transitioned to full-time rector and served Grace Church until her retirement in 2003. During her service as rector, Grace Church was endowed with a plot of land on Green Valley Road by a friend of the parish and prominent local journalist and intellectual, Fred Archibald. Grace Church moved its administrative offices to this newly gifted property and many of it’s parishioners have fond memories of spending time with Mr.Archibald when he lived on the beloved property. After Mother Gillis’ retirement in 2003, The Reverend Mary-Pat Ashby was assigned to Grace Church as its Priest-In-Charge. She served until her own retirement in 2011. During her service, she saw the building of a new church on the property at 5740 Green valley Road. The new church construction was overseen by George Delaplaine, Jr.’s, son John Delaplaine and his wife Holly. The new building was completed in 2008 and was celebrated with a congregational procession from the old church on Main Street to the new church on Green Valley Road. Each parishioner held a small sacred item during the procession and placed it in the new worship space. The new building was consecrated by Bishop Eugene Sutton on April 6, 2008. Rev. 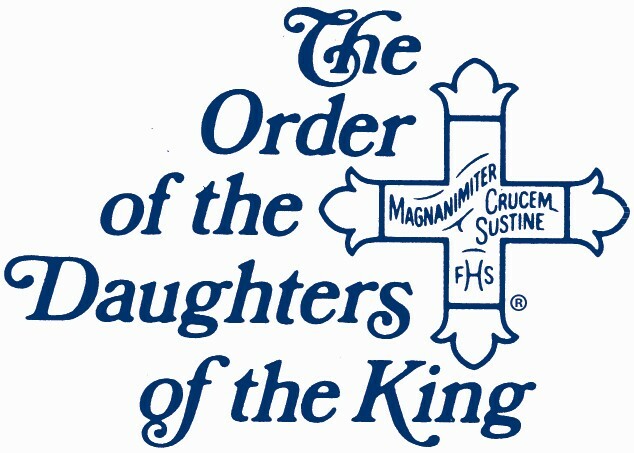 Ashby’s tenure also saw the establishment of a chapter of the Daughters of the King (Women of Grace Chapter). Several gifts have been bestowed upon Grace Church during Rev. Watts service. We were gifted with an outdoor worship space built by parishioner Scott Kraft as his Eagle Scout Project. We were also gifted with a tree-line wind barrier of 50 trees to help protect the grounds from strong gusts of destructive winds. The tree-line procurement and installation was gifted by parishioner Tim Baer as his Eagle Scout Project.